Close to 150 years on, Canada still has unfinished business left over from Confederation. The promise of lower barriers to trade among the British North American colonies helped bring together the disparate entities that would, in 1867, create Canada. 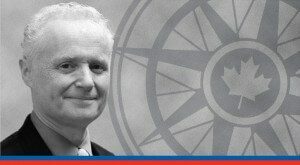 Helping Canada make good on the promise of Confederation is just one of the reasons why the Macdonald-Laurier Institute has, during the past five years, established itself as a thought leader on liberating interprovincial trade. Most Canadians are surprised – and, in many cases, disgusted – to hear it: It’s not unusual for consumers, workers and companies to run into more roadblocks doing business across provincial boundaries than they do with businesses in the United States. Trying to transport alcohol from Quebec to New Brunswick? Keep an eye out for the cops. Heard about a construction job in Gatineau but you live across the river in Ottawa? Don’t even bother applying. 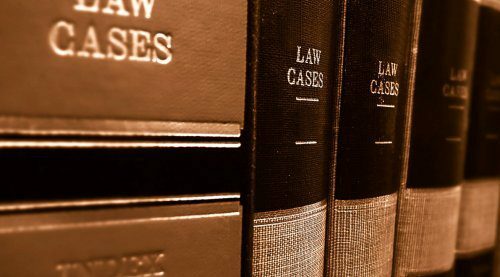 Bidding on a contract in another province? Don’t get your hopes up. Everyone, it seems, agrees that these barriers are a ludicrous imposition on the freedom of Canadians. So the question then becomes: Why do these barriers continue to exist? And what can be done about them? That’s where thought leadership from MLI comes in. 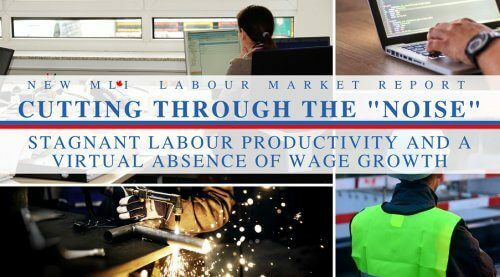 Internal trade barriers continue to drag down commerce in Canada because the federal government has repeatedly failed to properly diagnose the source of the problem. Successive federal governments have been lulled into believing that the solution to high internal barriers to trade lies with the provinces. But, writes MLI Managing Director Brian Lee Crowley, history shows this has repeatedly failed to deal with the problem. Take the provinces’ 1994 Agreement on Internal Trade, a deal designed to do away with interprovincial trade barriers, as an example. That agreement has been so ineffective that despite nearly two decades of effort, Crowley writes, the energy chapter is still blank and provinces think nothing of simply flouting trade rulings that do not go their way. The 2017 Canadian Free Trade Agreement (CFTA) is little improved. It fails to create the unified barrier-free national economic space that Confederation promised us 150 years ago. To Crowley, the conclusion is clear: The provinces had their chance. Now it’s the federal government’s turn. If you’re looking for an explanation as to why it’s in the provinces’ interest to maintain high barriers to trade, you don’t have to go far. Barriers to trade exist to protect local constituencies, and provincial politicians are loathe to get into a messy argument about their existence. That’s why, to Crowley, the issue needs to be removed from their hands and placed under leadership of the federal government. 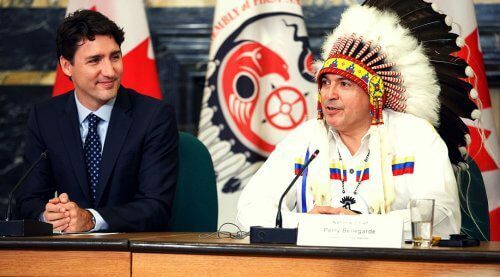 It’s time, he says, for the feds to step in and get tough with provinces. How? Create a charter of economic rights. This would take the issue out of the hands of both Ottawa and the provinces and instead place it in the hands of the courts. 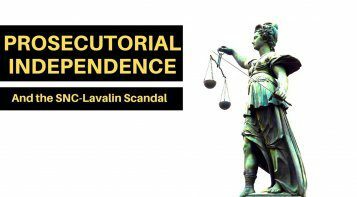 Any jurisdiction that offended Canadians’ constitutional right to free economic activity between the provinces would no longer get off scot free. They’d have to answer to the law. “Citizen Of One, Citizen Of The Whole”, by Brian Lee Crowley, Robert Knox and John Robson, lays out in detail MLI’s case for creating a charter of economic rights. 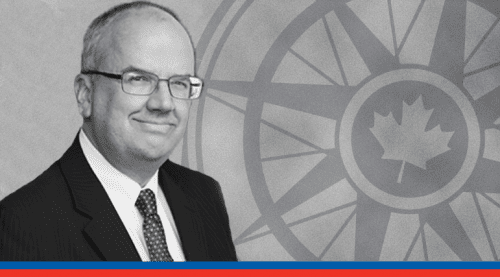 During its first five years, MLI has become Canada’s leading voice in the fight to tear down internal trade barriers. Crowley has written several columns on the issue that have appeared in major national newspapers. MLI has also published several papers on the subject. 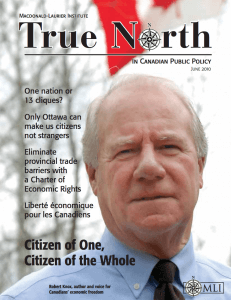 “Free Trade Within Canada: Say Goodbye To The Gold Seal”, written by lawyer Ian A. Blue, shows that barriers to internal trade are unconstitutional. The November 2014 edition of Inside Policy, MLI’s flagship magazine, was also devoted to the issue. 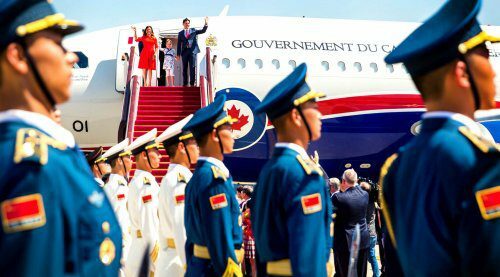 It features a column by former Liberal member of Parliament Martha Hall Findlay, who argues that liberalizing trade in Canada requires a new strategy. Even several years after their release, these publications continue to influence the debate about internal trade barriers. 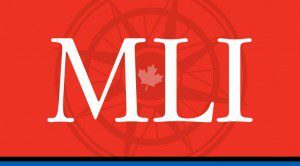 The National Post has also lauded MLI’s work on the subject in separate editorials. Post columnist Andrew Coyne has also cited MLI’s internal trade work. In 2016 Crowley and MLI Senior Fellow Sean Speer appeared before the Senate Standing Committee on Banking, Trade and Commerce to discuss the issue.